The baptism of the Lord is one of the most significant holidays in the number of Orthodox celebrations. A huge number of church traditions and folk customs are associated with this celebration. The baptism of Russia and the baptism of the Lord are two different holidays, which are often confused with each other. The fact is that many people do not particularly go into the details of the history of the holiday, which is associated with the earthly life of Christ. 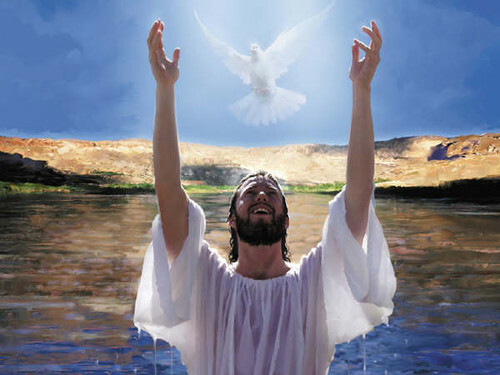 The baptism of the Son of God is a holy feast, originating from biblical times. In order for the memory of the miracle that the Lord gave us not to get lost in the shadow of the ages, it is important to remember how it all began. The feast of Epiphany is otherwise called the Epiphany. This name brighter and clearer shows us the history and the essence of the event, which is celebrated annually on January 19. According to historical data, at the time of the baptism of the Son of God was 33 years old. Jesus decided to show how it is possible and necessary to introduce people to faith. The Savior declared this openly. Like many people of that time, Christ underwent the holy rite of ablution, plunging into the waters of the Jordan River. Initiation into faith was conducted by the closest predecessor of the Messiah, John the Baptist, later called the Baptist. Initially, the seer was concerned about the coming of the Messiah to the waters of the Jordan River. The Savior’s request to baptize Him was discouraged by John, because before him was the Son of God himself, in whose holiness no one doubted. John was sure that he was not worthy of such honor, but the prophecy was destined to come true. Jesus reassured his predecessor, saying that now he is a man who must undergo a ceremony of consecration into the faith, like everyone living on Earth. The Son of God plunged into the river with his head, not only having been baptized, but also having consecrated all the waters. It was a kind of washing of all mankind — people accepted Christ as the true God, and He accepted us as equal to Himself and worthy of eternal life in Heaven. After Baptism, the Savior first disciples appeared. From that day on, Christ began to preach. In the Bible, this time is called the beginning of the earthly journey of Jesus as a prophet and teacher. Every year on January 19, Orthodox believers remember the events, the memory of which is still alive. On this day, it is customary to read prayers, attend temples, make communion and repent of sins. In addition to these traditions, there is one more, no less significant — to draw the baptismal water, in order to cure the body and soul with it for a year. The priests claim that on the day of Baptism, water becomes holy absolutely in all water sources. However, it is customary to collect water in the church. This tradition originated in antiquity, but remains relevant to this day. It is believed that you can already draw water on January 18 — on the Epiphany Eve. At the Epiphany, believers are immersed in water to strengthen their faith. This is a relatively new tradition that Christians like. January 19, many will plunge into special holes, Jordan, to undergo the rite of spiritual and physical purification. At the holiday table on this day going to families. The main treat is considered to be fish and wine. Baptism is the time of cleansing from all sins, so believers try not only to atone for their sins, but also not to commit new ones. On this bright and clean holiday, everyone should be open to the requests of others. The Lord commanded with compassion and concern for all, especially the poor and the afflicted. Holy Baptism of the Lord is one of the 12 major Orthodox celebrations, which every Christian should remember. Many ministers of the church call to treat this holiday with special respect, because it is not inferior to Easter or Christmas. The event of days gone by can strengthen the faith of everyone, give hope for a bright and happy future.